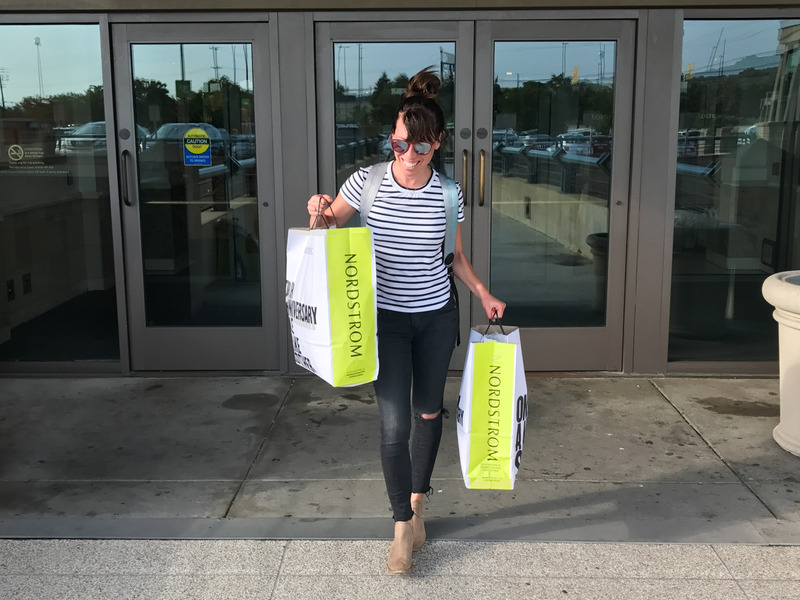 The 2018 Nordstrom Anniversary Sale is almost here!! 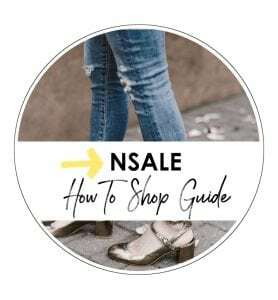 Per usual, we'll be digging (and digging) through pages and pages on online inventory, and going into nearby Nordstroms to try on - literally - hundreds of items....and this page is the result of all of that hard work. 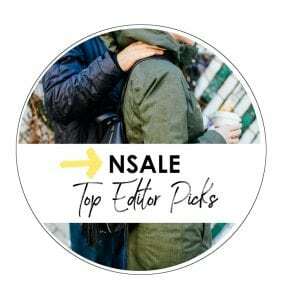 Once the sale goes live on July 12th, you'll find all of our favorite pieces, our Nordstrom Anniversary Sale 2018 top picks. Want to see these pieces on a real person? Then try one of these articles - in each, we've gone into our nearest Nordstroms, created outfits with items from this year's sale, and snapped selfies so you can see how the pieces really look. And readers - please send in pictures of your favorite finds! We love featuring reader finds - it's so helpful for everyone involved. Here's the deal: The Nordstrom Anniversary Sale doesn't actually start until Thursday, July 12th, and even then, it's only open to Nordstrom cardholders. The general public can start shopping the sale on Friday, July 20th. In the meantime...we've been spending a bunch of quality time with the 2018 Nordstrom Anniversary Sale catalog (just dropped!! ), and wanted to pull together a list of our favorites (catalog only!!) for you early-bird shoppers. 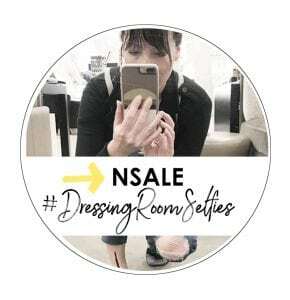 I'll be doing my usual #DressingRoomSelfies thing, and we'll be updating this page...but these things take time (genius can't be rushed #snort) and I know some of you like to shop the sale as soon as it opens. ps. If you want to see some wild predictions (as well as a general strategy for shopping the sale), I covered that here. Now that the sale is live, we're starting to update this page with all of our favorites. I did have a chance to go into Nordstrom and try on a ton of shoes and boots....and will include notes in the round-ups below. I've also included a section on which shoes I personally found disappointing. ONE: Vince Coleman High Top Sneaker (Light Wood Smoke Suede) - Remember my beloved Vince sneaks? Yup. They're updated and on sale again this year - yay! TWO: Coma Stretch Bootie (Black White Plaid) - Don't let that pointed toe fool you, I wore these pretty much all day long for Dressing Room Selfies and they're GOOD. These add the best kind of edge to any plain old outfit. THREE: Dolce Vita Tommi Perforated Bootie - Are these the successor to my long-loved, well-worn taupe Lucky Booties? All signs are pointing to yes. I started with this section because sneakers really are what we wear every. darn. day. If nothing else, grab the Vince sneaker boots. I've had mine for YEARS, get a ton of compliments on them, and they also get rave reviews from readers. There are two other similar pairs in the sale, both with hidden wedges (I prefer the flat). If you're interested, Steve Madden's sneaker boots are linked, or, even better, Blondo's sneaker boots are waterproof. We culled through the sale and pulled together the best boots for everyday life. The boots we really do wear on the daily. If you haven't yet crossed over to the OTK boot darkside....the Weitzmans are the best. They're my most-worn boot all winter long. If you like to add a little height to your day, or you just want something to make a Friday night more exciting...try one of these. These are all fun little sandals that are heavy on the pretty...and decently comfortable, too. If you're a flats-all-day kinda gal, these are for you. These are the shoes and boots, based on try-ons, that I wouldn't buy for one reason or another. Either they were uncomfortable, or had a strange fit - something major. This is NOT a round-up of style I didn't like. To each their own, right? The Nordstrom sale started a little light on dresses this year - did you notice? But then some AMAZING ones seemed to surface. This year I want to invest in a little dress-me-up or dress-me-down floral number....but am having trouble deciding. ONE: Vince Ditsy Bouquet Print Pleated Camisole Dress - I'm loving this pretty, romantic dress. It has the most feminine silky swish about it when you walk. TWO: Rebecca Taylor Hydrangea Silk Dress - This was hands down one of best pieces I tried. Possibly that dress-me-up or dress-me-down floral number I was hoping for. I tried on a size 4 for reference. THREE: James Perse Surplice Jersey Blouson Dress - Don't be fooled by the Nordstrom photo - this dress lays like a DREAM (and it's not see through). While many of the bags from our edited selection (below) are shown in a rich color for Fall (think: tan, burgundy, olive green)....most are also available in black. And would you try that belt bag? I'm TEMPTED. ONE: Rebecca Minkoff Medium Keith Suede and Leather Satchel - I'm drooling big-time over this bag. It's a great size (click through if you want to see it on the model). Rebecca Minkoff kills it every time. TWO: Nordstrom Genuine Calf Hair Leopard Print Clutch - Everyone needs a leopard clutch. The end. THREE: rag & bone Pilot Suede & Leather Backpack - Can we all agree this may be the most delicious bag of all time? The olive green + black, suede + leather...doesn't get much better than a quality bag like this. After the sale, this backpack will retail for $695 so snap it up! This is one area where the Nordstrom Anniversary Sale usually shines...but it's often hard to tell the good ones unless you try them on. Which I'll be doing, of course, but until then.....let's just swoon over these cute little numbers. ONE: Nordstrom Signature Cashmere Directional Rib Mock Neck Sweater - Cozy, cashmere & navy. That's really all this girl is ever lookin' for in a great sweater. TWO: Topshop Colorblock Knit Pullover - This one's a stunner and under $50. If you have your eye on it too, act fast. THREE: Halogen Cashmere Button Sleeve Sweater - Loved this one - so soft, and the button sleeve is cool. More colors available. These may be the only tops I need to get through Fall. Keep scrolling for the best ones I've tried + the ones in my cart..
ONE: Leith Easy Wrap Top - An easy, everyday top that just so happens to be the most flattering thing. TWO: Hinge Mix Print Top - This was a clear winner from my dressing room selfies jaunt. '70s wallpaper print tops forever (if you've been reading you know what I mean). THREE: Vince Silk Blouse - Don't be fooled by this top being "off the shoulder" - I successfully tried it with a regular bra and it's perfect. Snag it while it's on sale. Think of these tops as multi-purpose: daytime, date night, some even have office potential. These tops are the ones you'll turn to over and over again. While some have a special detail or maybe a subtle print, we really wanted to find closet staples. But...good ones. I'm so excited about the pattern play this Fall. 70's wallpaper vibes are showing up hard, as are man-plaids in rich, dark, tomboyish colors. Happily, the sale doesn't disappoint - here are my favorite patterned tops you really could wear every day. The long-sleeved tees and fancy t-shirt-like-tops can all be found under our Easy, Everyday Tops header. But if you're looking for a quirky little graphic tee, or a perfectly fitted baseball tee...you're in the right place. If there's one thing that this year's Anniversary Sale has completely nailed....it's coats and jackets. I'm swooning. So. If you're overwhelmed by the sale and just want to pick up one, go-to piece....make it a coat or jacket. My top three are below, as well as a highly edited roundup of the best from the sale. ONE: Lauren Ralph Lauren Faux Shearling Moto Jacket - I love this classic, feminine take on a winter moto jacket, but do we expect anything less from Ralph? TWO: Treasure & Bond Leather Blazer - This one's seriously stunning and versatile. Just when I thought that J.Crew blazer had my top spot, this little number is coming in hot. (Or maybe it's a tie). THREE: Levi's Wool Topcoat - Ok, Levis. This coat is also available in an icy gray but I'm loving the navy. Looks great without the sherpa collar, too. Click through to see more views. FOUR: Two-Tone Faux Fur Vest with Parka Derek Lam 10 Crosby - How amazing is this big ol' parka by Derek Lam? I have a sneaking suspicion I'd throw this one every. single. day. this winter. FIVE: James Perse Shrunken Military Blazer - If you don’t yet own this, snap it up! It’s pricey, even on sale, but it’s one of my most-worn pieces ever. I never travel without it – it’s been with me to several countries – and I wear it on date nights, meetings, and out with the kids on the weekend (protects me from the museums’ air conditioning). It’s the most versatile piece I own. If there's one trend I'm most excited about this Fall, it's shearling and faux-fur. If you're getting some serious 70's vibes, you're not alone. There's a ton of drool-worthy, furry, textured jackets in this sale - any of these would be a total outfit-maker. It's hard to argue the versatility of leather jackets. I've worn mine with jeans (obvi), trousers, mini dresses, maxi dresses, midi dress, leggings - you name it, I've worn it with mah leathers. There are a bunch in the sale, but I tried to narrow it down to only the pieces I would really and truly love to own. I love a pretty coat to hide...well....almost anything. You can throw one of these over jeans and a tee and STILL look dressed up (or, at least, cool). The usual suspects are in the sale (you can find their raincoats, fleece jackets, and puffers here) but I wanted to highlight something beyond the usual choices. Just for fun. We're really partial to the knit and ponte blazers - like the James Perse mentioned above. They only look fancy - they're really just sweatshirts disguised as a cool blazer. Otherwise, I'm looking for something plaid. Something that can double as an early Fall jacket. ONE: FRAME Le High Slit Hem Skinny Jeans - These are the perfect dark wash, soft, with a great fit. Well done, FRAME. See them in action in my Dressing Room Selfies. TWO: PAIGE Hoxton High Waist Slim Raw Hem - These are the MUCH better version of those stiff, vintage jeans that have risen in popularity this year. Definitely worth a try. THREE: AG The Legging Ripped Ankle Skinny Jeans - You all know our tried and true AG leggings - so happy to see them included in the sale. ONE: Leith Pintuck Ponte Pant - Party pants that are crazy soft, crazy comfortable ponte. You'll want to wear these bad boys all day and night. TWO: rag & bone Simone Lace-Up Pants - I have these Rag and Bone simone pants in black....sadly, without the ties at the bottom. They're FANTASTIC. THREE: Joie Malbi Slim Stretch Cotton Blend Cargo Pants - These were a dressing room hit for sure. SO comfy and soft I didn't want to take them off. This sale is making me want alllll the plaid pants for Fall. And maybe those faux-leather leggings. Or one insanely gorgeous skirt that I swear will never go out of style. Hunh. I was expected to be underwhelmed by "bottoms" (let's just start with the name) but instead, it's....exciting? Who knew? "Sweatshirts" aka the piece of clothing I never need to buy...yet ALWAYS BUY. I'm kind of a sucker for cozy and cute. ONE: DIFF Skye 52MM Polarized Sunglasses - I grabbed these on a whim walking past the sunglasses department and I'm in LOVE. TWO: Chan Luu Matte Sunstone 5-Wrap Bracelet - Chan Luu will be a forever favorite. THREE: Treasure & Bond Printed Crochet Trim Scarf - The best scarf of the sale, no doubt. I'm a sucker for a mirrored lens, and prefer giant lenses that actually do block out the sun. Also, I can't stick aviators on the top of my head without tangling in my hair, so there's that, too. With all of that nonsense in mind...here are my favorites from this year's Anniversary Sale. All I want is that super soft Beyond Yoga, ALL. DAY. LONG. I almost always save this stuff for last, because the sellout risk typically isn't high. However...matching rainbow Wildfox sweatsuits will likely sell out, so don't hesitate on that one. ONE: Wildfox Spectrum Marquis Zip Hoodie - Wildfox doesn't disappoint with their loungewear..totally worth the splurge. I'd pair this with cut-offs on chilly summer nights. TWO: Wildfox Spectrum Knox Pants - Get the pants to make this a matching sweatsuit. So freaking good. That's it for now! We'll update this page as the sale goes on, adding finds as we discover them. If you guys come across anything great, PLEASE let us know! (And send in pics - always so helpful).